With 31 games played, the Magpies have won nine, drawn eight and lost 14 to leave them on 35 points, the exact same return they had at the same stage of the last campaign. Remarkably, they have also scored and conceded the same number of goals - 31 and 40 respectively - and Benitez is hoping they can extend the trend by finishing 10th once again. Newcastle face Arsenal at the Emirates on Monday night, live on Sky Sports, and when asked about the statistics, the Spaniard said: "I was surprised because I think it is quite special. "But I can take that as a positive because if we do well, we can finish 10th if we are doing more or less the same. "But at the same time, I will say that we were safe - we lost four games and we won the last one against Chelsea, so the approach changes even if you are not conscious of it, the approach changes depending on where you are. "At the moment, we are fine and I have read some players talking about that, so we will see if we are safe enough, where we can go. "We have to do exactly the same, try to get points in every game. At least we have this feeling of confidence because we are doing well." Newcastle have showed an impressive resilience in recent weeks, fighting back from 2-0 down to beat Everton 3-2 at St James' Park, and then snatching a 2-2 draw at Bournemouth courtesy of Matt Ritchie's stunning last-gasp equaliser. They have won four of their last eight league games, and with front three Salomon Rondon, Ayoze Perez and Miguel Almiron in fine form, are confident of giving anyone a game. 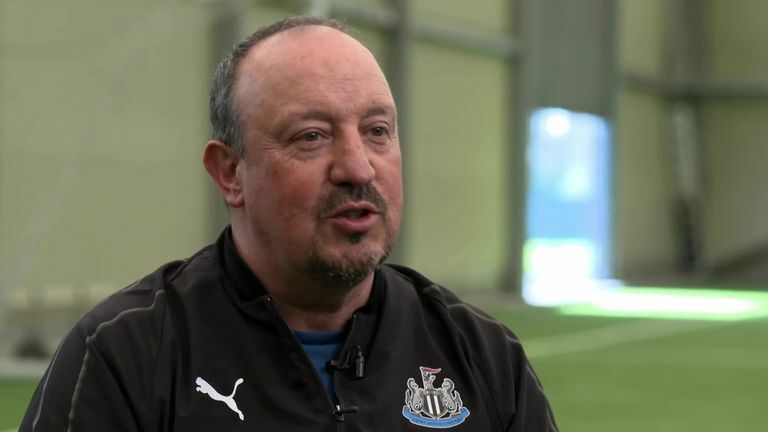 Benitez said: "If we do well and we are lucky - sometimes you need a bit of luck - then we can compete now against anyone because the team is quite solid and then we have confidence in ourselves, so I think we can do it. "The team is doing a lot of things with more confidence and we have more chances and then we are more of a threat in attack. "Why? Because the players know each other much better, they know exactly what we are trying to do - and maybe also Almiron is giving us a little bit of something different in attack and helping Rondon and helping Ayoze."